The first panel on “Managing the Tension between Infrastructure Investment and Rates” was moderated by Denise Kruger, Senior Vice President of Regulated Utilities, Golden State Water Company (GSWC). 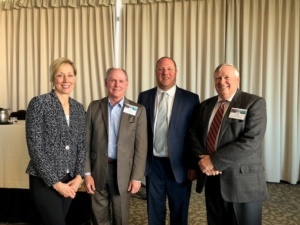 She was joined by panelists Chris Franklin, Chairman and CEO, Aqua America, and 2018 National Association of Water Companies (NAWC) President; Paul Helliker, General Manager, San Juan Water District (SJWD); Xavier Irias, Director of Engineering and Construction, East Bay Municipal Utility District (EBMUD); David LaFrance, Chief Executive Officer, American Water Works Association (AWWA); and Richard Rauschmeier, Program and Project Supervisor, Office of Ratepayer Advocates, California Public Utilities Commission (CPUC). Kruger launched the discussion by sharing GSWC’s video on the importance of infrastructure investments to ensure the delivery of reliable, high-quality water. LaFrance’s presentation centered on the hot issues of the day: infrastructure replacement and finance, including the Water Infrastructure Finance and Innovation Act; affordability programs; the Farm Bill and source water protection; the estimated 6.1 million lead service lines in the U.S.; and understanding the day-to-day direction of Washington, D.C. 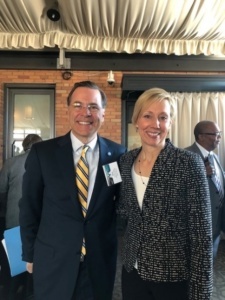 He also covered top trends from AWWA’s State of the Water Industry Report: renewal and replacement of aging water and wastewater infrastructure; financing for capital improvements; and public understanding of the value of water systems and services. LaFrance shared a list of resources on the affordability of water, which is available at www.awwa.org. Franklin focused his presentation on Aqua America’s infrastructure investments, noting the bulk of spending is on mains and services, followed by source treatment and facilities. Aqua spends approximately half a billion dollars annually in capital investments, and Franklin noted that a “gamechanger” for the utility has been the Distribution System Investment Charge (DSIC), which allows for a standalone surcharge on customer bills dedicated to pressing infrastructure needs. He said the DSIC has forestalled general rate increases and was, therefore, popular with customers. 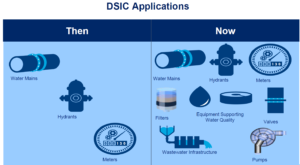 Since 1997, Aqua has invested $2.1 billion in DSIC spending in Pennsylvania alone, and as more items are added to the DSIC, the utility’s main break averages are well below the nationally acceptable range, while problems with water quality continue to decline. Helliker provided an overview of SJWD’s operations, rates, and revenue and detailed aspects of the utility’s Wholesale Financial Plan, He noted that pressures on rates are due mainly to investments required for infrastructure such as meter and pipeline replacements. 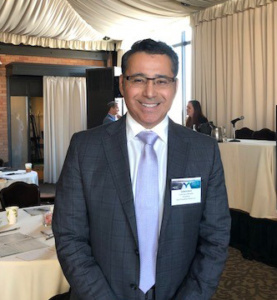 During his presentation, Irias explained that as water utilities strive to “get on a sustainable footing,” they “are dealing with a lot of unknowns,” which complicates resource allocation decisions. As systems age, requiring more renewals and repairs, a key strategy for EBMUD is to maximize reliability while minimizing total costs, including moving toward more “pay as you go” than in the past. Decisions on how much and what infrastructure to replace need to be made daily. And with costs rising and consumption declining, it can be challenging to explain the multiple drivers of rate increases to customers. Concluding the panel presentations, Rauschmeier stressed the importance of challenging the choice between affordability and the necessity to invest in infrastructure, noting that deferring maintenance and needed investments can lead to higher costs for customers in the long run. Addressing the tension investor-owned water companies (IOWCs) face when deciding whether to make or delay necessary infrastructure investments, Rauschmeier recommended taking an evidence-based approach with established benchmarks and facts analysis. He also emphasized the importance of managing ratepayers’ expectations by communicating the various impacts on rates, such as regulatory surcharges, to which customers are very sensitive because they are not part of base rates. “Addressing Small System Consolidation Challenges – AB 2050” was the topic of the second panel moderated by CWA Executive Director Jack Hawks with panelists Danielle Blacet, Director of Water, California Municipal Utilities Association; Debby Cherney, Deputy General Manager, Eastern Municipal Water District; Richard Svindland, President, California American Water. Cherney focused her comments on the causes and challenges of the 329 non-compliant water systems in California, 83 percent of which serve fewer than 1,000 people. She provided an in-depth overview of AB 2050, the Small System Water Authority Act of 2018, introduced by Assembly Member Anna Caballero (D-Salinas). With nearly a million Californians without access to clean, safe drinking water, AB 2050 aims to solve the problems associated with systems that cannot provide reliable water service, most of which are located in disadvantaged communities. Blacet continued the AB 2050 discussion by summarizing the bill’s primary components and status as well as highlighting its numerous supporters and sole opponent. Unlike other pending legislation, Blacet pointed out that AB 2050 is focused on participatory public governance as the solution to the failing water systems. Acquiring distressed water systems was the topic of Svindland’s presentation. He noted that IOWCs bring technical, managerial and financial experience and resources to the table. Svindland discussed the challenges and solutions associated with the six systems recently acquired by Cal Am and the four pending acquisitions. These challenges related to water quality and contaminants, treatment costs, constraints of disadvantaged communities, and aging or retiring owners. Solutions employed by Cal Am included water treatment, operational and managerial expertise, rate consolidation, grant and loan funding, and consistent communication with customers. 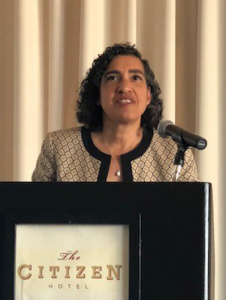 After the panel discussions, attendees had an opportunity to hear the first keynote address by CPUC Commissioner Liane Randolph who covered new directions for the CPUC, including the establishment of subcommittees that meet publicly the day before commission meetings to delve into various topics. She indicated the Committee on Finance and Administration’s Strategic Planning Initiative is in its second year and division directors are looking at ways to accomplish the identified goals. The Policy and Governance Committee wrote and adopted the Commissioner Code of Conduct and Commissioner Job Description, and the Tribal Consultation Policy was drafted and adopted. Randolph explained the CPUC’s threefold governance approach: informing the public; ensuring staff understands priorities and the importance of transparency and accessibility; and creating a bridge to future commissioners. She discussed the legislative reform package adopted in 2016 and said the CPUC is implementing new mandates for outreach activities, including making public participation hearings more interactive, robust and informative and improving the CPUC’s online presence. When asked about any plans to update or revise the Water Action Plan, Randolph said it’s time to take a fresh look at the plan and align it with the CPUC’s new strategic directives. In closing, Randolph noted that a process is being developed for public participation hearings (PPHs) that are part of the general rate case process, and the intent will be to increase customer participation in PPHs. She indicated parties in a rate case will be invited to engage with customers prior to the start of a PPH. 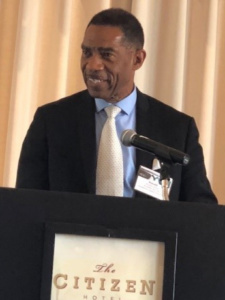 During his luncheon address on “Nothing’s Easy at the State Water Board,” Vice Chair of the SWRCB Steven Moore commented that “diversity is the key in our state to managing water…not just representatives of ethnic backgrounds and gender diversity, but also diversity of disciplines. Everyone has a stake in water. Everyone IS water.” He indicated the SWRCB is working to minimize crisis management, and that although change doesn’t come easy, the state and regional boards want scientific-based, data-driven decisions to generate trust in the public served. With more than 300 communities without safe, affordable drinking water, Moore said decisions on the human right to water or establishing water efficiency standards can’t be put off. On the consolidation of non-compliant water systems, Moore said the IOWCs are valuable partners with the necessary tools in their toolboxes. He briefly discussed WaterFix, noting there have been 86 days of hearings and also referred to the newly formed Delta Conveyance Design and Construction Authority. 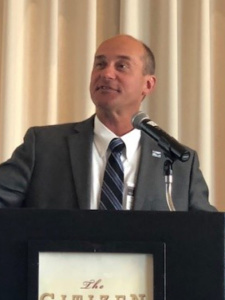 In his closing remarks Moore encouraged IOWCs to continue innovating and remain open to forming permanent partnerships to help manage the watershed and groundwater basins sustainably. Ronald Garnett, President and CEO of the Council for Supplier Diversity (CSD), provided the next presentation on “Leveraging Supplier Diversity for Economic Empowerment in Underserved Communities.” He emphasized that the ultimate outcome of supplier diversity is to add economic value to the supply chain while increasing economic opportunities for the diverse business community to reduce poverty, lower unemployment, increase wealth, and integrate American society. 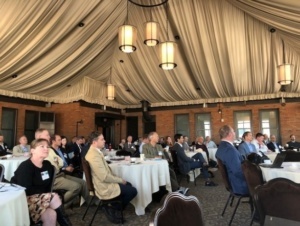 Garnett outlined four phases of supplier diversity: supplier diversity engagement, active sourcing (actively looking for suppliers), spend results (measuring how much is spent and how it impacts the diverse suppliers), and community impact, which should be the focus for the whole program. Garnett explained the Economic Empowerment Model, which includes identifying the economic empowerment zones, ensuring there is a purchasing network, hiring from within the community, building capacity, developing resources for diverse businesses, and finding ways to give back to the community. Garnett stressed that it takes partners to do this, and if the money never gets back to the community, it’s not enough. Speaking on “Defending the Right to be Right” were Shannon Dean, Vice President, Corporate Communications and Community Affairs, California Water Service, and Kyle Butts, Lead Research Manager, Forward Observer. 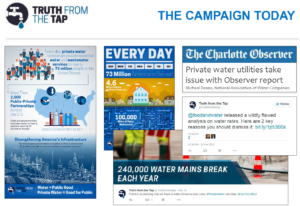 In his presentation, Butts discussed the misinformation being spread about the private water utility community through traditional and social media by the Water Activist Network. The speakers explained how the National Association of Water Companies is vigorously and proactively defending the investor-owned water utility industry through the Truth from the Tap (TFTT) website, launched in 2015 as a fact-check campaign to counter misleading information and correct the record about water rates, service, and delivery, including why rate comparisons are bogus. 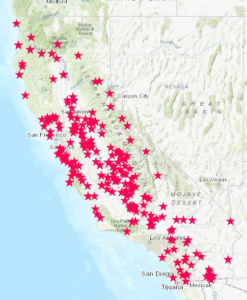 Currently, the campaign is engaging with CWA members, creating TFTT-branded content for California, and growing the digital footprint while countering provably false information being circulated by activist groups in California. “Making the Right Decisions on Drinking Water Quality” was the topic covered by Darrin Polhemus, Deputy Director, Division of Drinking Water, State Water Resources Control Board. He discussed the 2018 priorities for drinking water regulations as well as 2017 priorities that have been achieved by the SWRCB. 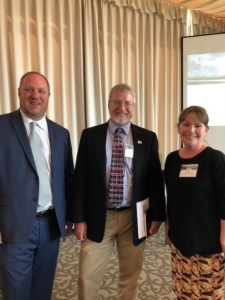 He also provided status updates on the Lead and Copper Rule, the Revised Total Coliform Rule, cross-connection control, and the Environmental Laboratory Accreditation Program. Roger Patterson, Assistant General Manager, Strategic Water Initiatives, Metropolitan Water District of Southern California (MWDSC) talked about “Metropolitan’s Vote on the California Water Fix: Definitely Not Easy.” In his presentation, Patterson outlined the elements, history and next steps of California WaterFix. 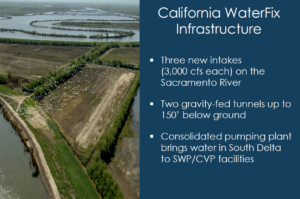 He explained how MWDSC reached the decision to single-handedly fund a major portion of the project to protect the Sacramento-San Joaquin Bay Delta. 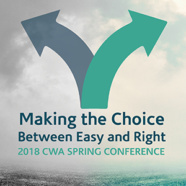 “Making Right and Easy Choices in the 2018 Legislative Session (We Should Be So Lucky)” was the topic of the final panel moderated by Jennifer Capitolo, Senior Policy Advisor, Nossaman LLP, joined by panelists Danielle Blacet, California Municipal Utilities Association; Kathleen Cole, Metropolitan Water District of Southern California; and Wendy Ridderbusch, Association of California Water Agencies. Each of the panelists provided an update and the prospects for passage of the most prominent water-related bills, including: the new water bond, Proposition 68; SB 998 (Dodd), which deals with policies and procedures for handling discontinuation of service for nonpayment of water bills; SB 623 (Monning), which among other things would impose a $0.95 per month fee on customer bills to help fund a new Safe and Affordable Drinking Water Fund; AB 1668 (Friedman) and SB 606 (Hertzberg), which would codify in law new water-use efficiency standards and new aggregate water-use objectives for urban water suppliers [these two bills subsequently passed and were signed into law by Governor Brown on May 31, 2018]; AB 2339 (Gipson), which makes the process less cumbersome for a city that wishes to sell city-owned water utility property; and AB 3206 (Friedman), which would require the State Energy Resources Conservation and Development Commission to adopt regulations setting standards for the accuracy of water meters, and which would establish protocols for water utilities to follow when testing meters for accuracy.